How to select the right software capabilities to address your business needs? The answer is Cisco ONE software. What Is Cisco ONE for WAN? Cisco ONE for WAN gives organizations broad capabilities for branch offices and the enterprise edge. Cisco ONE Foundation for WAN connects and secures your branch office while optimizing for cost. Cisco ONE WAN Collaboration integrates voice and video into your branch and network edge. WAN Collaboration can be purchased independently of Foundation for WAN. Reduce WAN bandwidth expenses and optimize bandwidth usage by choosing the best path (such as Internet or MPLS) for critical applications. Deploy an Intelligent WAN that can deliver up to five-nines reliability. Get the most from your investment with efficient WAN utilization. Improve application performance through application protocol acceleration and optimization techniques that offload the WAN. Improve network security with access control and data encryption. Scale secure connectivity across all remote sites. Enable energy efficiency with tools and services that help you measure and manage the energy use of connected devices across distributed offices and campus environments. Save IT time with zero-touch deployment and quickly automate and secure your branch offices with audit tracking. Automate WAN deployment with centralized policy and distributed enforcement. 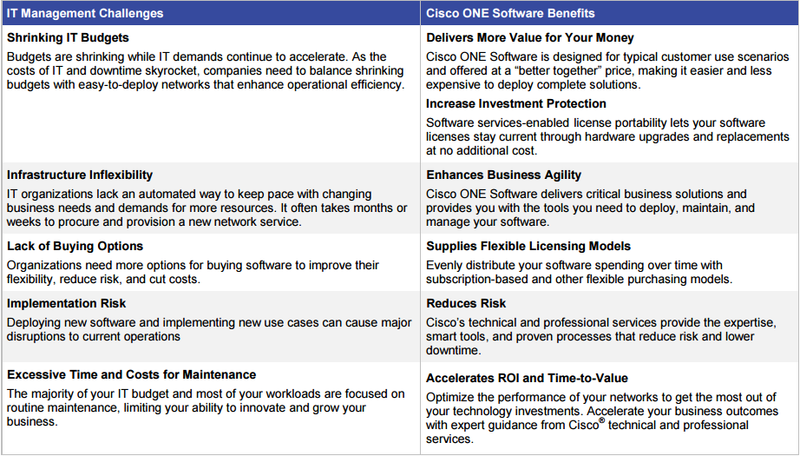 The following Table lists the features and capabilities of Cisco ONE for WAN. 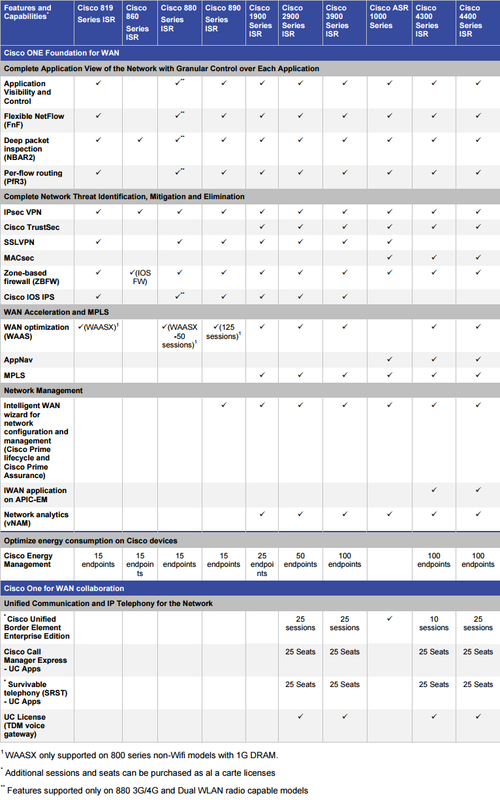 The top part of the table lists the features for Cisco ONE Foundation for WAN across the different platforms. 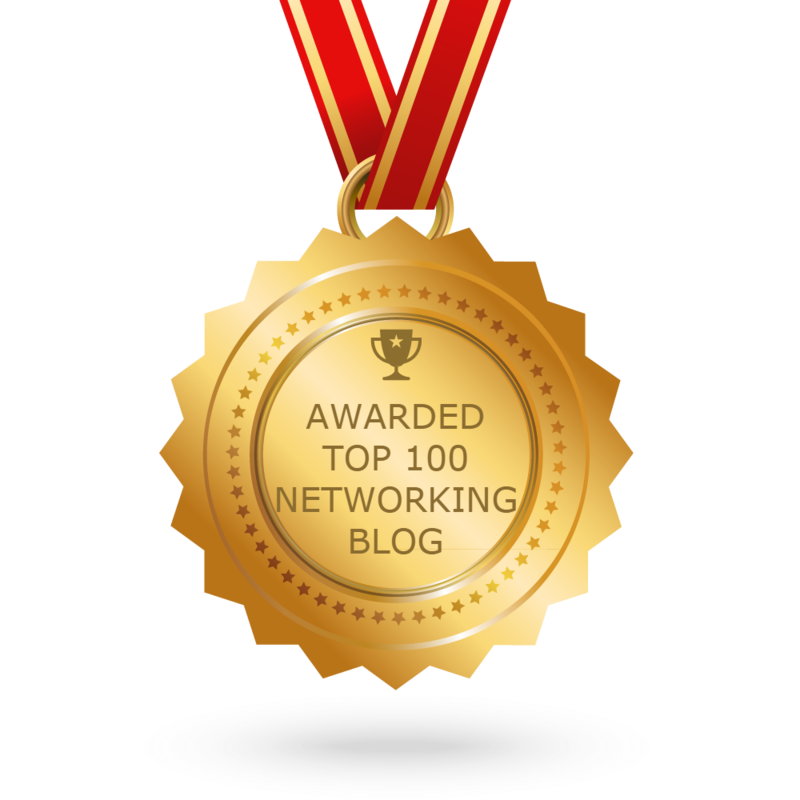 The bottom part of the table lists features for Cisco ONE WAN Collaboration.